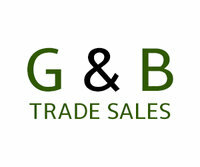 Nabeel from G&B trade sales was extremely polite and helpful. He invited in me in his house, showed me the car and made me do a test drive. Then he explained me everything about the car and the paperwork with professionalism and patience, being the first time I bought a car. The car is great and G&B always drive the cars they sell for at least a month, so you are sure that what you are buying is safe and reliable. Moreover, G&B offers also a 3 or 6 months warranty! Nabeel also provided me advice on the insurance, which happened to be the cheapest on the market also on the comparative websites. Great overall experience, definitely recommended.